The guy in the bar claimed he worked for the CIA north of the DMZ during the war (for me the war is forever Viet Nam) as an assassin targeting high ranking Viet Cong. It may have been true. I was never sure. He worked for me tenuously, marketing a charter boat I was running out of Monterey. For several weeks after I fired him I carried a knife and kept clear of the shadows. The truly deadly men I’ve known were unrecognizable. They looked like the guys I surfed with at Rincon and Ventura County Line or the kindly uncle with a Jerry Colonna mustache. They were decent, reasonable sort of men; one of them was in the crowd when Jane Fonda paraded down the streets of Hanoi. He was waiting for the order to pull the trigger. The kid I roomed with in San Diego was blond, freckled, and quick to smile. He didn’t seem haunted by what he had done nor especially proud. If I persisted, he would tell about traveling up the Mekong in a rubber boat to the headquarters of a VC regiment, stealing into a hooch where the officers slept on a bamboo floor, murdering the one in the middle without waking those on either side, and leaving the ace of spades as a calling card. PsyOps they called it. It was supposed to have a more demoralizing effect than a simple body count. My commanding officer in the 621st Nuclear Artillery Battalion was a lanky, six foot guy named Lt. Bean. In country he had been a LRRP (Long Range Reconnaissance Patrol.) They were called lurps and they were deadly. Supposedly every dead lurp cost the enemy 400 of their own dead. As a lurp Bean would dress in black pajamas and bamboo hat and spend weeks at a time in North Vietnam. His job was reconnaissance, ambush, and assassination. He was very good at it, so good they gave him a battlefield commission. What surprises me most is how ordinary these men appeared, and how dangerous they were in reality. They seemed to have transitioned effortless from killing as an occupation. I don’t know if they were haunted by nightmares. If so, I suspect they dreamed more of the death of their friends than of their enemies. Perhaps that is one measure of what we are and the discrepancy between what we wish to become. My hands have grown old without me. 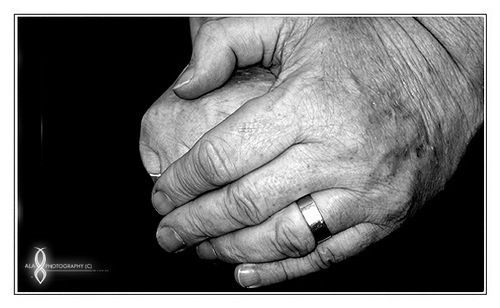 They seem a strangers hands—wrinkled, weathered, like a desert landscape eroded and seamed by arroyos. They seem roughly familiar but much older than me, as if they had lived a life other than mine. The skin drawn across the back of my hands is thin as the nest of a paper wasp. Old friends. Bookends. A newspaper blown through the grass falls on the ’round toes, the high shoes, of the old friends. The mornings are becoming chill with the Fall. The deciduous trees burn with color. The season of fog and storm is coming. This year I’m more leery of winter than last. This year I remember the sound of a gale among the Douglas-fir and Western red cedar, the gusts that roared like a north-bound freight, stout timber shattering beneath the weight of wind, the thunder of huge trees striking the ground. The sound of a gale in darkness—whether ashore or at sea—is always more terrifying than in daylight. That winter storm felled trees that had stood several hundred years, trees that had likely been saplings before the Battle of Bunker Hill. They lay across the road in windrows, isolating our neighborhood. Houses were crushed. Fortunately, no one was killed. The electricity in our neighborhood failed early in the storm. During that week a cold front settled on Puget Sound. The ground froze hard. There was no heat in the house but the fireplace. It snowed. We dragged the mattress downstairs and slept in front of the fire, Linda, me and the dogs. Every few hours through successive nights I woke to stoke the fire and keep the cold at bay. Power wasn’t restored for more than a week. Climatologists tell us the storms will become more powerful and frequent. As the sea level rises places like Bangladesh will be inundated. Pacific atolls and the Gulf Coast may become uninhabitable. Wars will be fought over fresh water and arable land. Millions will become climate refugees. People will die, many people. Is it avoidable? I suppose the answer is yes, even now we could at least ameliorate the effects, if we could take concerted action based upon enlightened self-interest, if we could surrender short-term advantage for the lasting benefit of all. But we have always been better at responding to disaster than avoiding it. Perhaps I’m just becoming more dour with age but I find the inhumanism of Robinson Jeffers—or Lao Tzu—the only point of calm within the approaching storm. and his history…for contemplation or in fact. . .